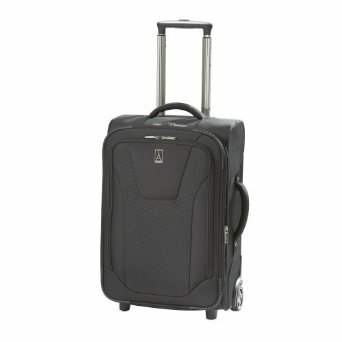 This is the summary of consumer reviews for Traveler's Choice Toronto 3-piece Hardside Expandable Spinner Luggage Set. The BoolPool rating for this product is Very Good, with 4.10 stars, and the price range is $121.99-$167.99. 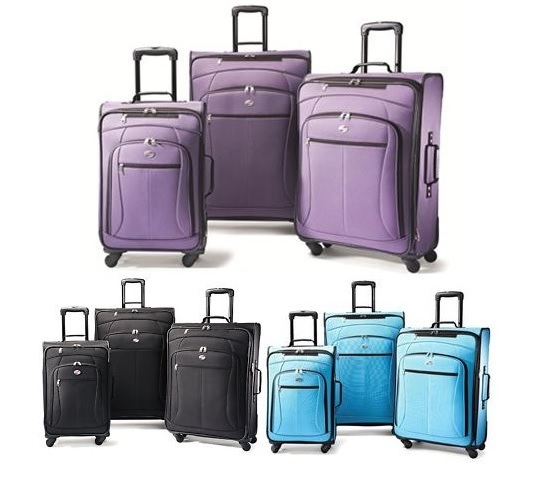 The Traveler's Choice Toronto is a 3-piece Hardside Expandable Spinner Luggage Set made of 100% ABS exterior hard shell material, Polyester Liner inner material and aluminum handles. 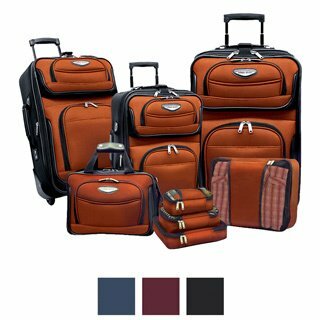 These suitcases feature adjustable handles with push button locking, effortless and smooth gliding on four wheels and elastic tie down straps to hold items in place. These suitcases are expandable for up to 25% additional capacity and are scratch and water resistant with reinforced top and side carrying handles for convenience. The shell flexes to absorb impact and returns back to its original shape. The fully lined interior features multi-use pockets for easy organization and the pocket doubles as a divider to keep items secured. The suitcase is durable with riveted hinges and is available in three colors - black, blue and gold. However, as per some reviewers, some bags were not very durable and broke easily. Some products received came with scratches or sharp screw protruded through some bags after some usage. The handles or chain are flimsy at times and broke easily after some usage. In some cases, the zippers, especially inner zippers also did not work very well and the wheels did not roll well if the luggage was upright. Some users also felt that there are not enough compartments within the suitcase. All in all, many users feel that it is not worth counting or depending on these suitcases for long time as they do not hold up for a longer duration. 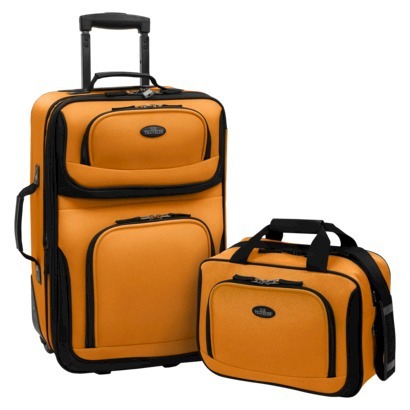 Overall, the Traveler's Choice Toronto 3-piece Hardside Expandable Spinner Luggage Set is a recommended traveling companion for short or long trips for its good looks, quality features and performances, durability, perfect sizes and affordable price. Rolls nicely and turns well. It's a nice, sophisticated color. These are very well made and look very very nice. The gold is really a nice soft tan . I'd definetly recommend this luggage to a friend.,. Second, there really aren't any nice compartmented areas within the suitcases. Muted color and looks durable enough to make it through many international trips. I got the gold color and it'sn't a strange looking color like I expected, it's gorgeous. If you're looking for real top of the line, hardside luggage, look elsewhere. It looks like it was used before, with scratches & scrapes on the back side & handle area. Very light weight, Decent material. The light weight and size inside is ideal for packing especially when dealing with Airline weight limits. good quality for the money, light weight, good looking, easy to handle. Love the color and light weight of the luggage. Very light; doesn't add any undue weight to luggage. It's classic looking, light weight and so so so easy to move around! Light, and so far, durable. Its a great set, expandable, light, easy to handle and protects the contents. They're also light allowing you to pack more items and still make airport weight requirements. double zipper allows for expansion of luggage size, but it's easy to use the wrong zipper to try to open the case, so it expands rather than opens; only one side of the case has a strap to hold clothes in place; this means that, unless you open the case with the strap-side up, all of the clothes fall out. The retractable handle extends high away from the case and seems a little weak but handled my travels well. I'm used to the standard fabric cases with zippered pockets on the outside and somehow these seemed much larger. Additionally, the zippers on all three cases were covered in glue. while packing for my trip, 2 snaps broke, zippers hard to zip one handed. The large case is toast as the back fabric which holds the entire case together has no come undone. If you open suited case from wrong side clothes and items all fall out, have to repack. I coosed navy colour because it's good to find brilliant blue case in the line of black, grey and brown cases in airport. In fact, the entire casing around the handle (the black piece on the back of the case) was ripped off the case. Received luggage and at first the zippers on the inside pockets wouldn't work. Well worth the price paid. Carry-on size fits well in overheads. These held up well traveling. The rollers work well but the extendable handles can be a bit flimsy at times. The smallest fits quite well in US overhead, and aside from the typical smudge from baggage handlers stands up very well. Have held up well despite the cheap price. The sizes are a good fit as well. First trip of the largest bag with 50 pounds weight and the chain broke. On the first flight, the largest bag broke. I use the smallest bag on all of the trips as I hate to check bags. Plus, the bags are very light weight (a big advantage with air travel) and easy to maneuver. I used these bags for 2 trips overseas. Bag has scratch marks all over. So we now have two bags with sharp screws protruding thru the bag. We'd a lengthy trip abroad with these bags. The bags look nice, but don't count on them holding up too long. They'd to tape the bags to keep them close. I travel a lot for work! I haven't traveled by airplane yet, but I've traveled with them and they're great. Would highly recommend this product to anyone who does traveling. 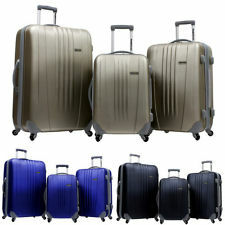 Traveler's Choice Toronto 3-piece Hardside Expandable Spinner Luggage Set was delievered very fast, quality of luggage was superior and would recommend this product. Traveling over the Christmas holidays, this luggage came through with flying colors. The sizes are in good variations...it fits my travel schedule based on local, international etc. I take the small one local travel. I ordered this set for friends who travel a lot! The 3 sizes are great --perfect for HIS & HERS when traveling. My parents travel frequently and their luggage takes abuse. Handles and zippers are holding up, wheels working great. The spinner wheels work effortlessly. Love the pieces, nice quality, wheels work great. The wheels I wish were a bit longer because once its full its sometimes hard to push but other than that, the wheels are great. Very light and easy to wheel around. the wheels are a big plus.. I've seen a friend's Kenneth Cole hard case suitcase and the wheels and retractable handle seem far more sturdy than these. However, the wheels don't work as advertised. 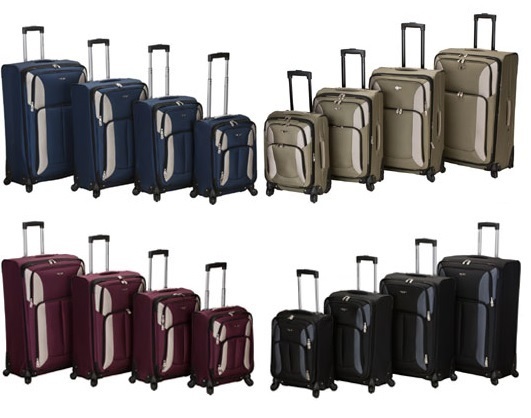 The luggage wheels only roll well if the luggage is upright, so if you need to lean it in order to walk correctly the wheels are at a bad angle.